One of the new brands to feature amongst the gorgeous offerings from the relatively new M&S Beauty Hall. Cowley Manor is a luxury hotel and spa resort located in the heart of the Cotswolds and definitely on my visiting hit list, but until then, I love that I’m able to have a little of the Cowley Manor experience in my own bathroom, formulated exclusively for M&S. The range has two distinct variations – Awaken and Nurture. Awaken packs a stunning punch of uplifting lemon myrtle and bergamot, blended with rosemary and British willow. Nurture is more sultry with deeper notes of rose and geranium, blended with milk thistle and British hops. Awaken is the kick I need in the morning to get myself going and out the door, whereas Nurture is just what I need to bring myself back down to earth again in the evening. The Awaken Bath Foam delivers a rich plethora of citrusy bubbles, but not so much that the bath was overflowing with froth. The bathroom is filled with the scents of essential oils. It being a gel based bath foam, you’ll be sure to want to pop a little moisturiser or dry oil on afterwards. In the bath, the smell really lifts you up but I didn’t feel it was overpowering by any means. 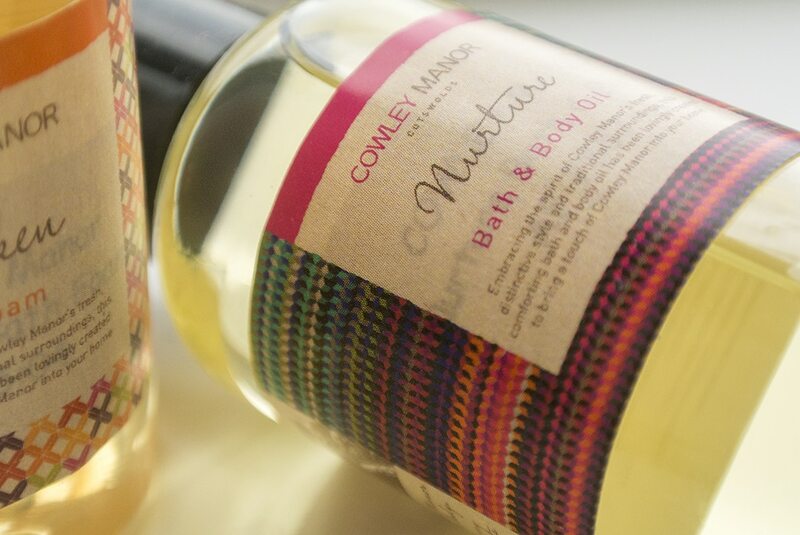 The Bath & Body Oil in the Nurture range is perfect for a good massage and beautiful when added to a hot bath. I’m always very wary of bath oils but found this didn’t leave my bath at all greasy and melted into the water leaving it mystically cloudy. I will stress though, for bath use, add only a couple of drops. Fantastic as a massage oil as it left my skin feeling incredibly smooth, but obviously as a massage oil it needed washing off and it did so incredibly well, which isn’t always that common in massage oils, but with my skin still left smelling softly of rose and geranium. A stunning range that fits in perfectly with the high quality, luxury offerings of M&S Beauty with a whole armada of bath and body products as well as reed diffusers and two fantastic sampler packs, all available here. If you’ve used the products before or end up doing so, drop me a comment. This article first appeared on MANFACE written by Thom Watson. It was published on Wednesday 9th January 2013 and was last updated on Monday 3rd April 2017 at 4:00pm. It's categorised under Body, Cowley Manor where you'll find more related content.